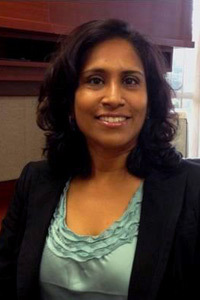 CORONA, CA -- CIRCOR Aerospace Products Group, a CIRCOR International company, has selected Renuka Ayer as Vice President of Finance covering the North American, Asian, European and North African aerospace businesses. Ayer joins CIRCOR with more than 20 years of progressive experience in finance and operations in both headquarters and start-up field assignments in multi-billion dollar organizations. Most recently, she performed the role of CFO for Orange County Container Company. Prior to her CFO role, Ayer held positions as Finance Director, Controller and Finance Manager for Fortune 50 companies such as Dover Corporation, Shell Oil Company, GE Aircraft Engines and Ford Motor Company with experience in providing global financial leadership in the U.S., Asia, Europe and Mexico. Ayer holds a Bachelor of Business Administration in Finance from the National University of Singapore, and an MBA in Finance and International Business from the University of Massachusetts, Boston. Ayer will create, communicate, and implement CIRCOR’s vision, mission, and overall direction for the Finance function within the Aerospace division of CIRCOR International, Inc. She will also lead and guide the work to further develop and execute strategic plans for the growth of CIRCOR Aerospace. "We are excited to have Renuka in this senior position with the group and look forward to her leadership as we continue our drive to meet and exceed our overall business growth and profit targets," commented CIRCOR Aerospace Group Vice President Michael Dill.